Some people leave Facebook because they fear they're wasting all of their time online, though most people probably don't have 10,000 friend requests accumulating in their mailboxes. 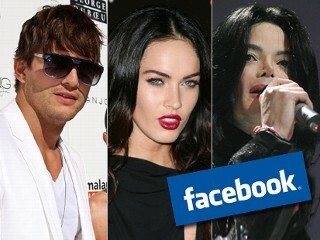 Ashton Kutcher, Megan Fox and Michael Jackson are among the top most-fanned celebrities on Facebook. Indeed, that was the recent predicament reportedly facing Bill Gates, the chairman of Microsoft. During an award event this week in India, Gates admitted to the gathered crowd that he had deleted his Facebook page because managing his friend requests had become "way too much trouble," the BBC reported. Gates -- whose PR reps didn't immediately respond to ABC News' request for comment -- didn't clarify whether he was referring to a public page or a private profile, though since he referenced friend requests he was probably referring to a private profile. If it had been a public page, he wouldn't need to manage the incoming traffic from wannabe friends. "With a Facebook page, celebrities do not have to 'accept friend requests' but instead can connect with an unlimited number of fans and foster real-time conversations with them," Brandee Barker, Facebook's director of communications, told ABC News via e-mail. Gates' departure from Facebook, however, doesn't mean that other celebrities are jumping ship, too. On the contrary, the popular social networking site still boasts an impressive roster of athletes, entertainers, politicians and other public figures. With Facebook's help, we've cataloged here the 10 most popular celebrities, as determined by the number of fans following each celebrity. Michael Jackson is Facebook's most popular celebrity. With 10,018,585 fans, the King of Pop is comfortably ahead of his closest contender, President Barack Obama, by nearly 4 million fans. According to a Facebook spokeswoman, the King of Pop's page has benefited tremendously from a giant posthumous bump, with its fan base rising from 800,000 the day before Jackson's June 25, 2009, death, to more than 12 times that at its present size. Jackson's page includes previously unavailable music videos, and, in the buildup to Jackson's memorial, it updated fans on the latest news surrounding his memorial service. In winning the 2008 presidential election, Obama secured the support of more than 62 million voters, but on Facebook, the leader of the free world could only manage roughly 6.5 million fans, still enough to make him the site's second most popular celebrity. Organizing for America updates his site frequently, informing fans of press conferences, television appearances and other important events ongoing at the White House and around the country. Obama's status bar informs readers -- in case they haven't been paying attention -- that "President Barack Obama is the 44th President of the United States of America."